During the months of December and January, The Phoenix Inquirer hosted a Middle School-wide photography contest. Students were asked to submit original photos and a short caption explaining their photo (or photos) to the staff of The Phoenix Inquirer. Beginning on January 15, a team of photo editors evaluated all of the entries to choose the first, second, third, and fourth place winners. Then, the editors announced the top four winners in an assembly soon after. In this article, an interviewer talked to the first place photographer, Kristen Johnson, to get all the details on where, when, and how she took her winning photo. 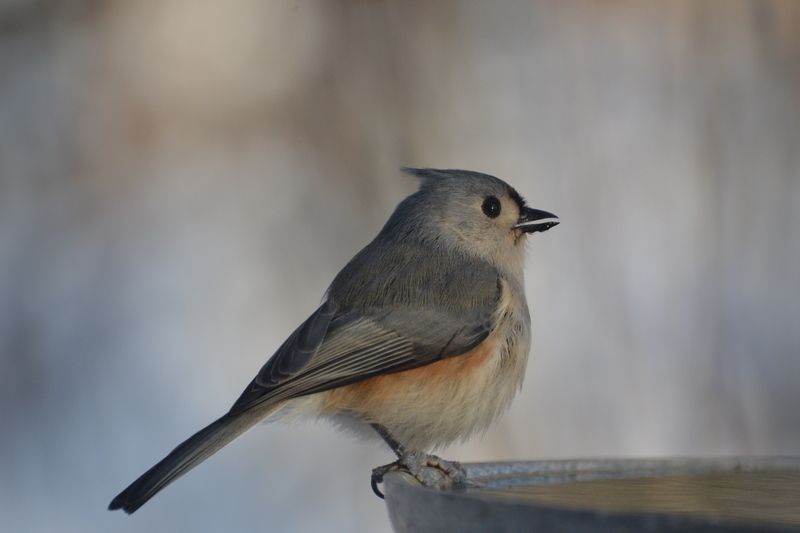 Kristen said she took the photo of a Tufted Titmouse through the window of her house, where she could see she the birds in their bird feeders and bird baths. She told us that she “started taking pictures of the birds that came to the bird feeders because it was too cold to take the camera outside.” She took the photo with an Nikon 30100 on January 3 and has been taking a variety of photos for about a year. Kristen told us she does not really know how she got into photography and does not have any inspirations for her photography. She does not think she has a career in photography and does not particularly want one. Congratulations to Kristen and to all of the photographers who entered. Thank you for making the first Phoenix Inquirer photo contest a success!